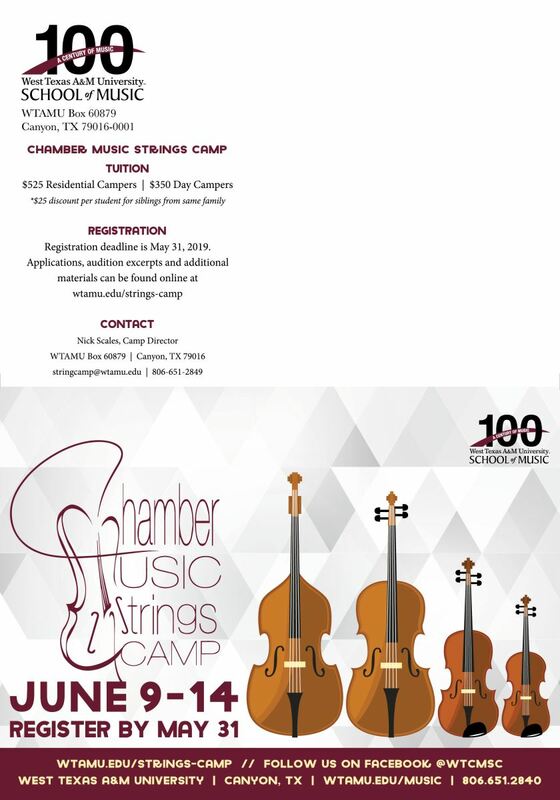 The WTAMU Chamber Music Strings Camp invites you to star in your own chamber group. Each ensemble has its own coach to help you achieve the highest levels of musicianship. All campers are also involved in daily activities led by a faculty of experts, including members of the Harrington String Quartet and other WTAMU faculty. 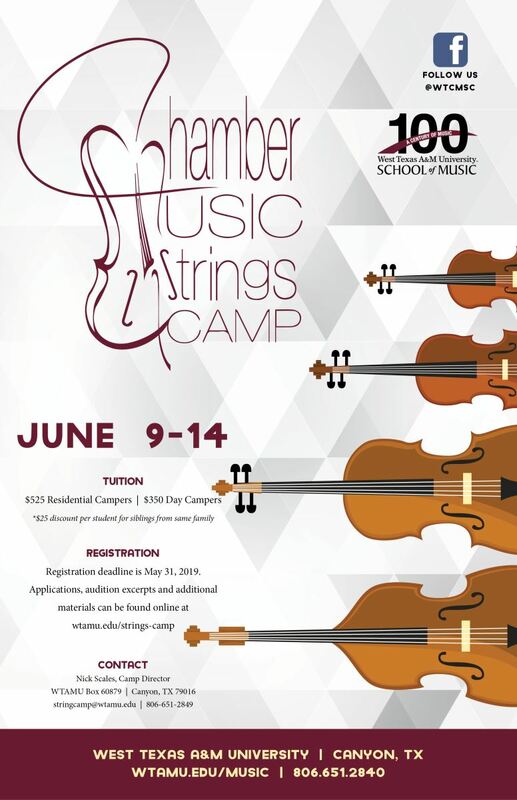 The camp is open to string musicians who will enter grades 5-12 in the fall of 2019, as well as recently graduated high school seniors. Residential campers must be at least twelve years of age. A minimum of two years playing experience and the ability to read music is required. * $25 discount per student for multiple siblings from the same family. Sunday’s auditions, the camp t-shirt, and all activities Monday through Friday from 9 a.m. to 5 p.m. including lunch are covered for all campers. Additionally, residential campers stay in air-conditioned dorms, eat breakfast and dinner in the university dining hall, and enjoy evening activities and recreation at the Virgil Henson Activity Center from Sunday through Friday.